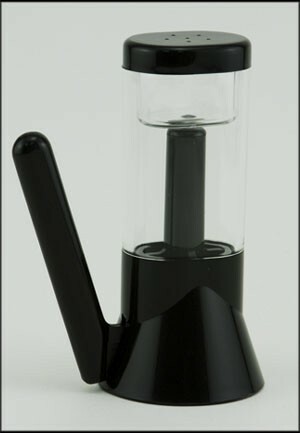 This unique salt or pepper grinder has a one-hand movement. Adds a lot of flare to the dining table. Awesome mill, can be used for salt or pepper. Works like a charm! Wonderful customer service and super fast shipping! Thank you Sandie's Galley!